In case people haven’t guessed I visited my local candle shop in the weekend. It’s called RETREAT and for those who live in New Zealand, they have stores in Glenfield, Newmarket, Sylvia Park and Manukau. 1. Candles convey messages of warmth, romance, spirituality and brightness and they are embraced by lots of different creeds, religions and nationalities. 2. The Egyptians have been credited with soaking reeds in animal fats for rushlights. But the truth is all civilizations have a history of illumination. 3. Tealights are tiny candles, encased in a thin metal or plastic cover. The candle liquifies totally while lit and burn times can vary from four to nine hours. 4. Votives need to be placed inside a tight-fitting holder to maximise burn times. 5. Pillars are free-standing and are long-burning, available in a round or square shape. They can have multiple wicks and are excellent for grouping with other sizes and accessorizing to add the final touches to home or office. 6. Floating candles create light in a bowl, fountain or pool. These are specially designed to float on water. 7. Do not leave a burning candle unattended. 8. Trim candlewick to 5mm EACH time before burning. 9. Burn for 1 hour per 2cm in diameter. Noe: a candle has a memory. That is, it will only burn to the same diameter it was last burnt to. 10. Candles make great decorations and provide good mood lighting, but cleaning up dried wax drippings is never fun. Here’s a video about removing candle wax. 12. Flickering candles are one of the simplest and yet most magical ways of adding atmosphere to a scene. Ask your local candle shop about home decorating, color coordination, aromatheraphy, home fragrancing and everything candle. They’re the experts! The staff at RETREAT are certainly very knowledgable. 13. Think about personalised candles for a gift. RETREAT will design special candles for birthdays, anniversaries, weddings, memorials, Valentine’s Day, Mother’s day and any other special event. They can be decorated with text, ribbon, graphics and photos. Your imagination is the only limit. What do you think about candles? Do you like them? Do you have candles in your house? 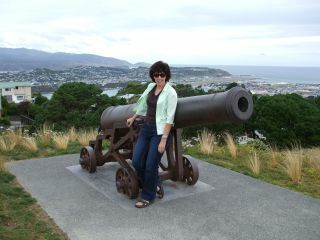 In honor of my recent visit to Wellington, THIRTEEN THINGS about WELLINGTON, NEW ZEALAND. 1. Wellington is the captial of New Zealand. 2. It is VERY hilly, even more so than Auckland and San Francisco. After a day spent exploring, I woke up the next day with sore thigh muscles. No need to buy a thigh master, just visit Wellington! 3. The city of Wellington is known for its wind. Evidently this is because of its position to Cook Strait. (the passage of water between the North and South Islands of New Zealand. The prevailing North-West winds accelerate through the strait giving 173 days with winds greater than 60kph (32 knots) each year on average. 4. There’s an inland island rare bird sanctuary only 5 minutes drive from the center of Wellington, which is pretty amazing. See yesterday’s post. 5. The parliament buildings are known as the Beehive because of their shape. 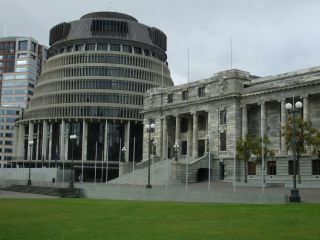 The Beehive is the newer parliament buildings while the old building is the elegant one alongside. 6. People seem to build their houses on top of hills and they balance precariously. Many of the homes are original Victorian buildings. 7. Wellington is home to Peter Jackson and sometimes called Wellywood. 8. Our national musuem Te Papa is in Wellington. My favorite part was about our animals and I really enjoyed the section on our geology. Mr. Munro and I went into the earthquake simulation, which was amazing – an old building that shook and trembled. The earth moved! In fact, the earth kept moving for a while after we left. It was neat but weird, too. 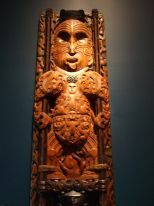 This is one of the Maori panels plus a model of a moa and our local hawk. 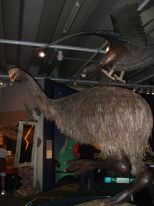 Both birds are extinct now but were the largest birds in the world at the time. 9. Wellington sits on a fault line and they have lots of earthquakes. 10. Mt. Victoria gives a scenic view of the city and harbor. I’m glad we could drive up rather than walking! This is me up the top of Mt. Victoria. 11. There are quite a few vineyards around. We went to Martinborough – a relief to walk around here since it was flat!! 12. All the vineyards are close to town. 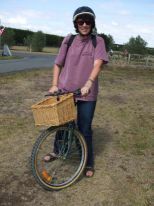 We hired bikes and rode around the vineyards. 13. 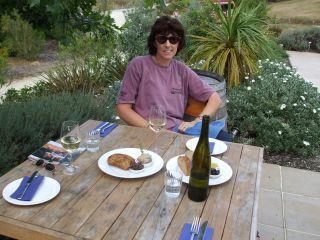 And we stopped to have lunch and sample some of the wines. This is me relaxing at lunch. We rode around 10kms on our bikes before heading back to the hotel to soak in a spa bath. A very relaxing weekend. 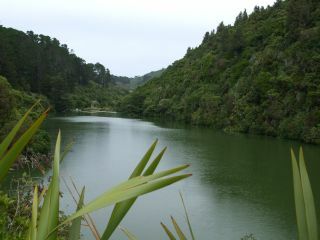 During our recent trip to Wellington we visited the Karori Wildlife Sanctuary. As the name suggests, it’s a special sanctuary for some of our endangered native birds. The 225 hectare site includes two dams that used to supply the city of Wellington with water. It was decided that the dams might break during an earthquake and a decision was made to lower the dams and use the area as an inland island. The first step was to fence the area with pest free fences. 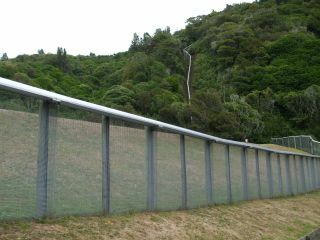 These fences stop possums, stoats, weasels, ferrets, rats and mice from entering the sanctuary. Once the fences were installed a pest-control plan was put in place. A year later all 13 major pests in the area were fully eradicated. Thousands of native trees were planted (the area was previously all in pine) and this planting continues. The long-term vision for the project is to return the area to its original undisturbed state and this will take around 500 years. Some of New Zealand’s endangered wildlife has been released in the pest-free area including brown teal ducks, the little spotted kiwi, giant wetas, tuatara, stitchbird, North Island saddleback, weka, North Island robin and bellbirds to name a few. On entry to the sanctuary staff checked my bag for mice, cats, rats and other pests. Thankfully, my bag was found pest-free! I know I would have been more shocked than anyone if a mouse had jumped out. We explored some of the many paths, pausing to peer through the treetops searching for birds. We sighted saddlebacks and bellbirds, lots of tuis and fantails as well as some kaka (NZ variety of parrot). I’d never seen kaka up close so was fascinated to see them at the feeding stations. 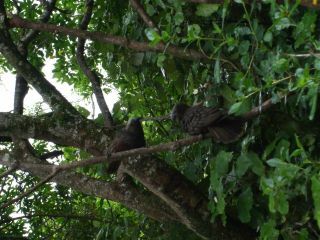 This photo shows two kaka. They’re a green parrot and blend in quite well with the trees, although they’re easy enough to spot because they make an awful screechy noise. I would have loved to see a tuatara but since it was overcast they were all in their burrows, but we saw native fish and green geckos along with lots of our songbirds. They also do a nocturnal tour where you can hear the evening song before the birds go to sleep and then go out hunting for the nocturnal kiwi. Maybe we’ll do this during another time. I’d highly recommend a visit to this sanctuary, if you’re ever down this end of the world. 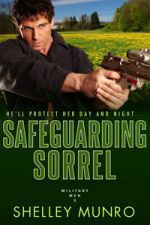 …which, leads in nicely to the fact that I’m the Spotlight Author at Author Island today. I’m giving away a print copy of Romancing the Alien.